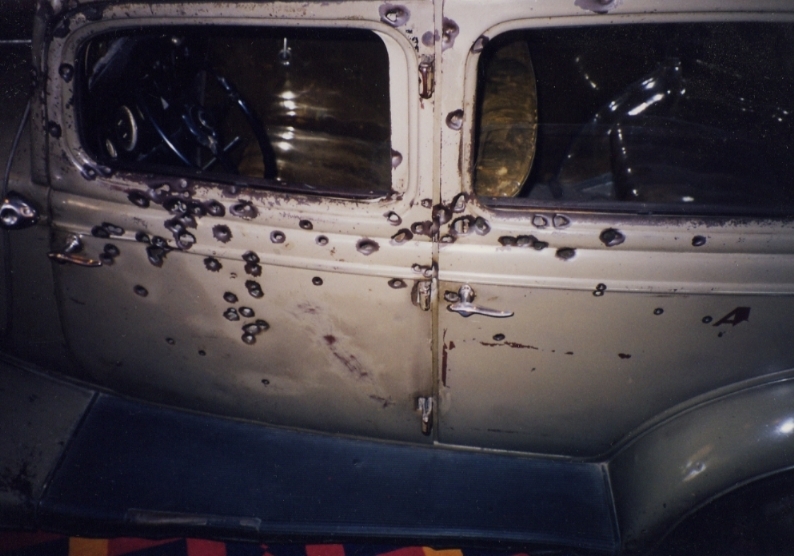 Whiskey Pete's Hotel & Casino had previously owned and displayed the Bonnie & Clyde "death car" in their lobby. 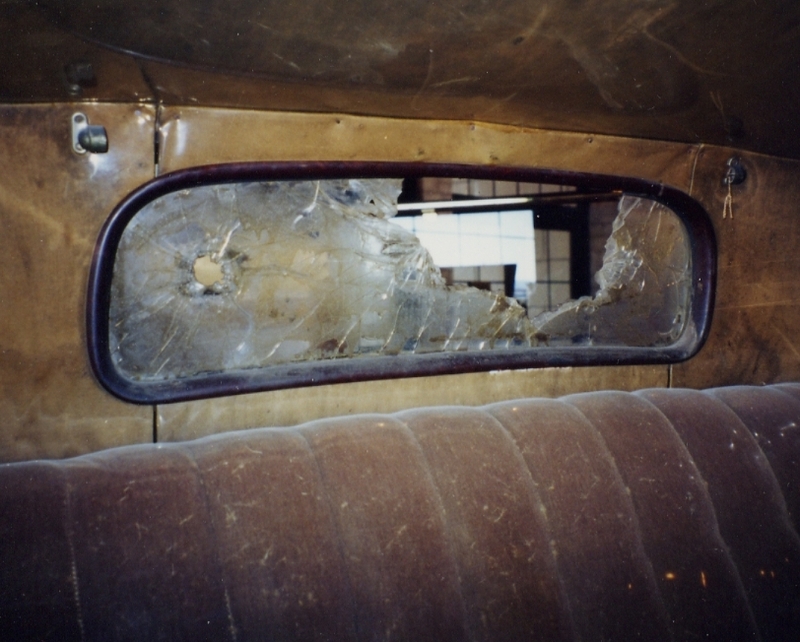 On January 15th 1998, Sandy Jones, private collector and curator of "The John Dillinger Historical Society Museum" had the opportunity to "go behind the scenes" to examine the original car. I say "behind the scenes"... because it had been kept behind a glass partition, which separated it from the public, and protected it from souvenir hunters. The casino had welcomed Mr. Jones to examine their prize exhibit. 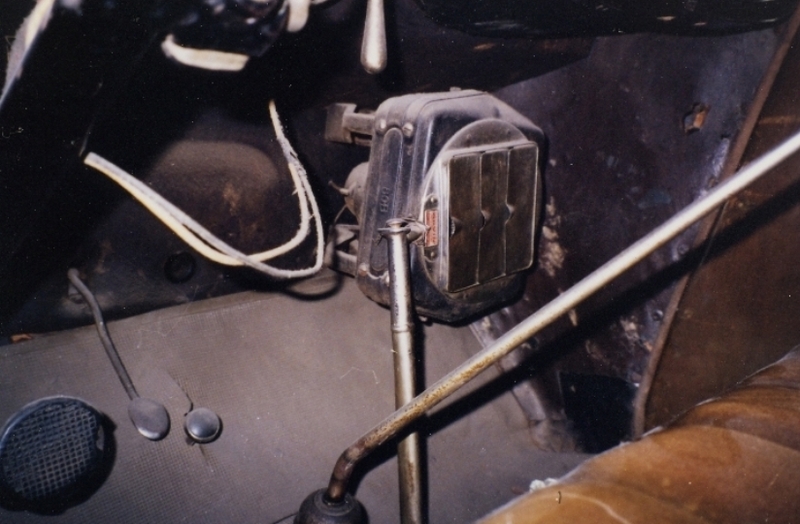 He in return, had then supplied the car's owners with proof of it's authenticity, from both his expertise and documents supplied to him by Clyde's sister, Marie. 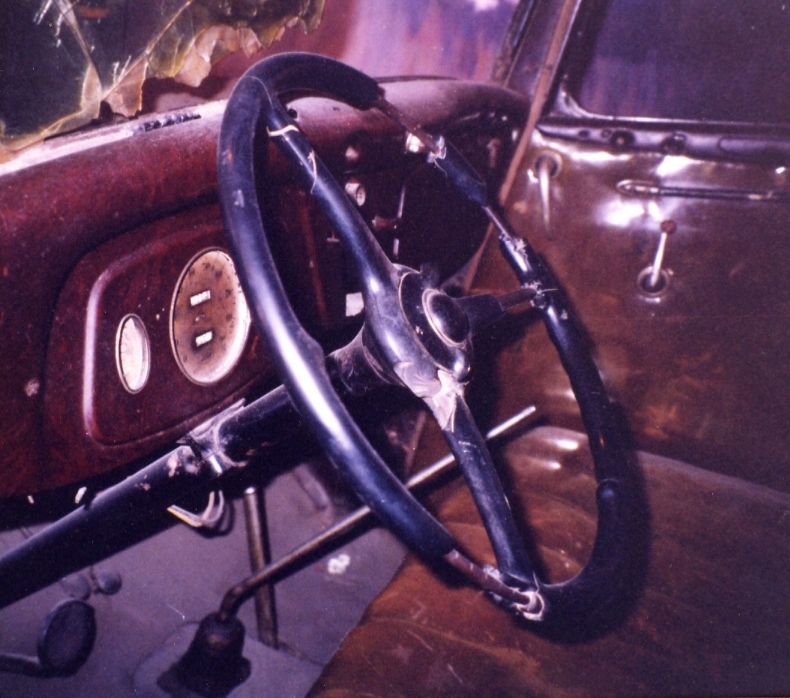 About one hundred photographs were taken during the exploration of the car. Seen here, are several scans of the photos taken by Mr. Jones. I would like to take this time to thank Sandy Jones for sharing these very impressive photographs with the Hideout.